Below is a collection of photos from our first few years farming. Some have been taken at University of Vermont's Catamount Farm, others are from Stony Pond Farm, and a couple are from Bread & Butter Farm. There are also a few from our time in Pennsylvania. Click on the arrows on the right side of the photos below to view the next photo. 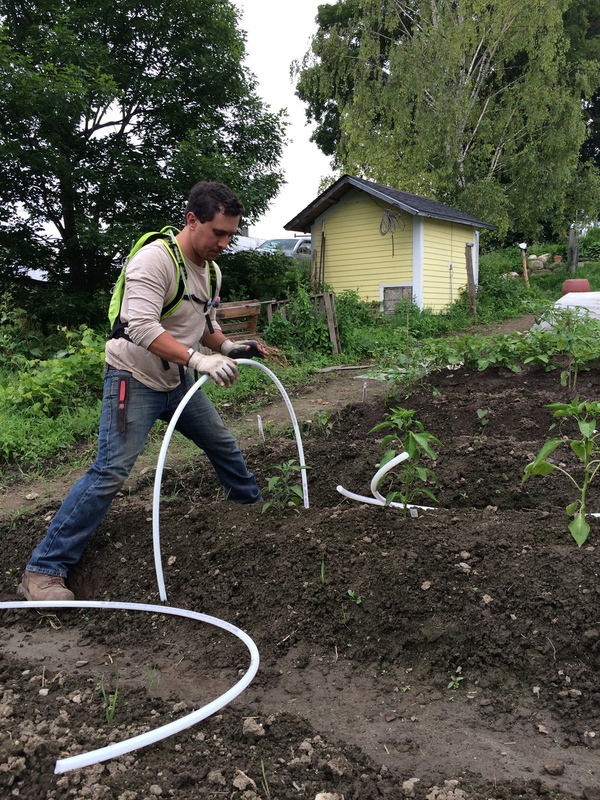 Working in the hoop house at UVM's Catamount Farm. Preparing onions for plant out at UVM's Catamount Farm. Photo credit Graham Waugh. Planting onions at UVM's Catamount Farm. Photo credit Graham Waugh. Caitlin harvesting lemon cucumbers at UVM's Catamount Farm. Caitlin at UVM's Catamount Farm. Jason on the Kubota at UVM's Catamount Farm. Our website has information on our kimchi and sauerkraut, the crops and varieties that we grow as well as the products we make from some of our produce, some of which are fermented foods. We've also included information about us, your farmers, and a number of photos.